I'm new and just found this site and look forward to being able to contribute where appropriate. I am a stroke survivor and trying to do my best to stay in shape despite my limitations. I want to return to cycling, but only have the use of one hand, so a conventional bike is not an option. Recumbent bikes are of interest to me. I recently purchased one and had it modified to allow operation with only the one hand that works. All seemed fine until I tried to start riding once again. Even though both my legs work somewhat normally, there is some remaining weakness I have to deal with. Due to this weakness I've had a very hard time getting started on the bike. My balance is not what it used to be,so getting both feet onto the pedals to get started is turning into a big issue for me. If I have help by someone holding the bike steady while getting started, I have no issues after that and enjoy the exercise greatly. This is not practical since I may not always have help getting started each time. So, if was suggested that training wheels might be what I need. Has anyone ever heard of or seen training wheels on a full size bike used by an adult? Or does anyone see any reason why training wheels would not work for me? fyi, I have located heavy duty training wheels on Amazon, but before I order them, I thought I'd ask if there might be issues I've overlooked. Any help will be appreciated! Thanks to all in advance! This sounds like a really bad idea. Training wheels limit your ability to lean into a turn. If you're going fast enough to balance without the training wheels, you're going fast enough that you need to turn by leaning. So you would need training wheels that retract when you get above ~5 mph, and deploy below that speed. Apparently something like this does exist for motorcycles, but I've never heard of anything like it for bicycles. The alternative would be to ride a trike. They definitely exist for bicycles. I work for a distributor that stocks them, they are referred to as adult stabilizers. They only thing i'm not sure of is how compatible they are with recumbents. 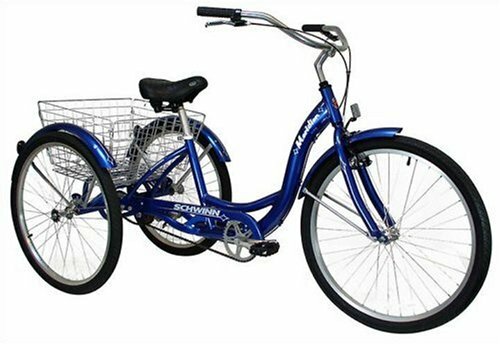 One other thing to consider would be a recumbent trike or a tadpole trike which is just a recumbent with 3 wheels rather than two. I realize a new ride can be quite expensive though, the adult stabilizers are also a bit pricey however. 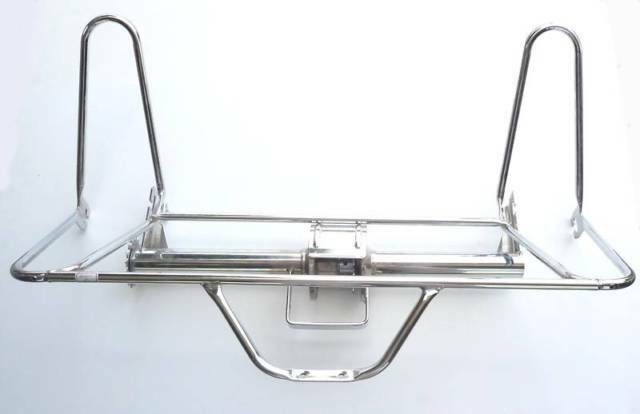 The MSRP on the ones we carry is over $200 but that is because they are heavy duty and hold up to 300lbs. I was going to write this as a comment but it became lengthy and i thought an image may be helpful in deciding whether or not something like these could be attached to your recumbent. As you can see, this type attaches at the seat/chain stays and possibly the axle, i am not overly familiar with them and have not personally installed any but mounting them on a recumbent could be tricky. You can also opt for the 3 wheels cycle (or tricycles). Being made on purpose I think they can be more sturdy than added wheels. 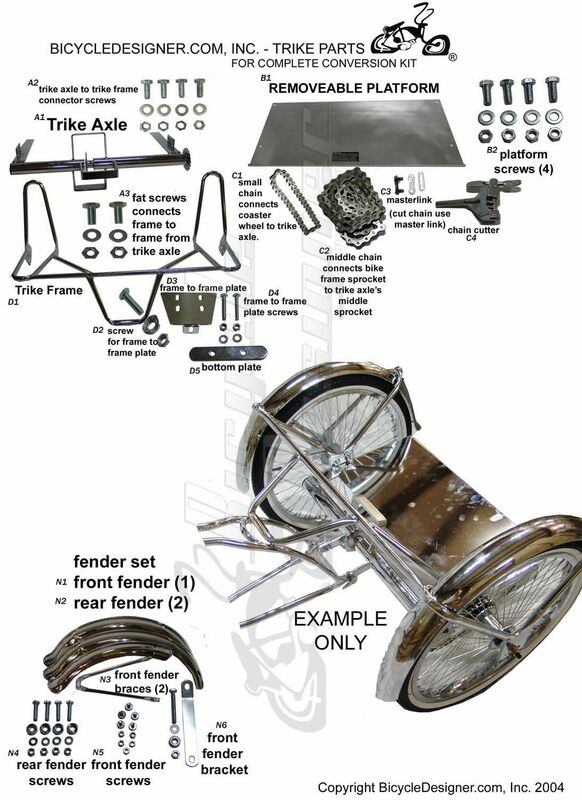 Halfway between Nate and Dutch's answers, you can buy a trike conversion kit. I've never used one, so can't comment on their effectiveness. Note the unit bolts to the rear chainstays and replaces the rear wheel completely. You end up with a wide axle in the same place as your rear wheel, but this kit has a stub chain so it probably only has one driven wheel. 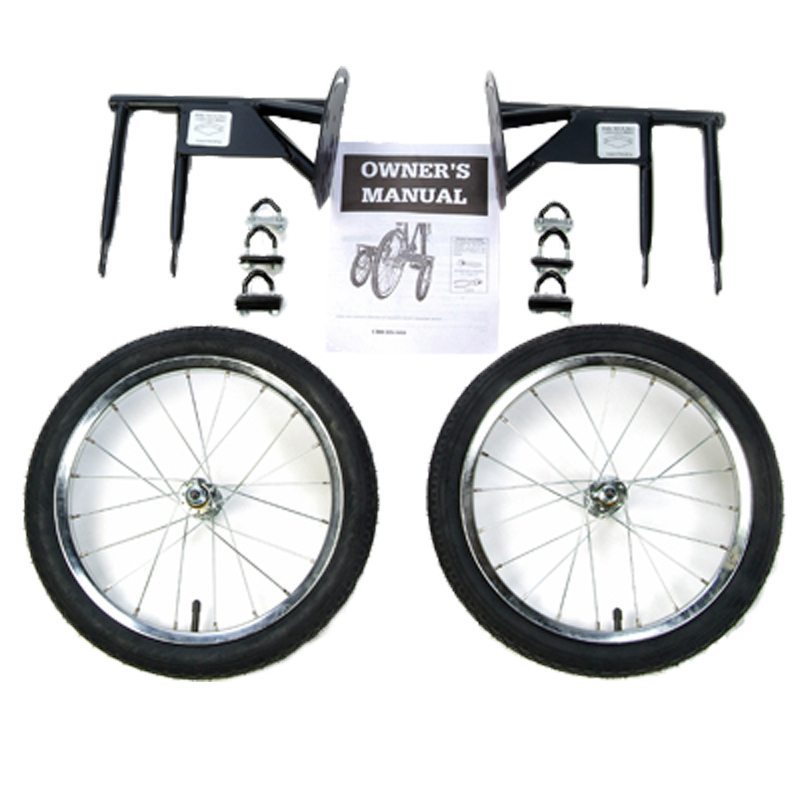 Other kits offer band brakes for the rear, or disk brakes at the rear. Some kits give you a differential, making turning easier. Not sure if this is useful or a gimmick. I'm not making a particular recommendation for a supplier. For setting off on Recumbent bikes, you can use your hand on the floor to hold yourself up. May I confirm you're changing gears and setting off in a low gear, working your way up through said gears? If not, that could seriously inhibit your setting off; The faster you accelerate, typically, the more stable your set-off. With recumbent bikes, I highly doubt that training wheels would work well at all, let alone FIT the bike. If you have a Recumbent bike, make sure you set the gear limiters and indexing very, very accurate as you'll find yourself using the gears A LOT if you're fluent enough with the gear-to-speed ratio, so-to-speak. 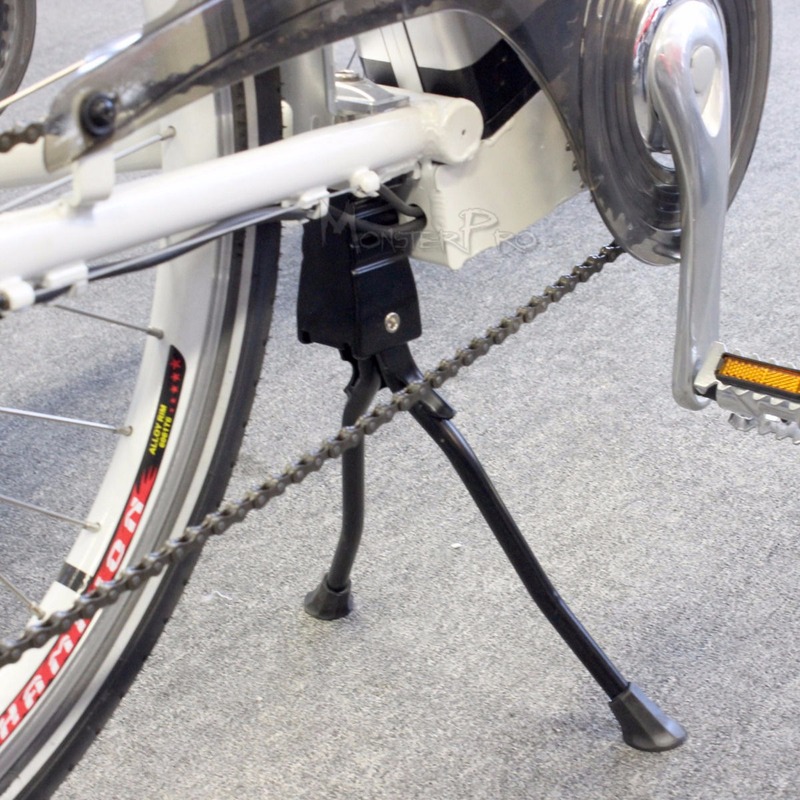 One final note on a recumbent with stabilisers; If you buy a bike stand designed for mounting on the chain-stay, that attaches via clamp, you might be able to mount it to part of the frame. If you take that stand and a little dolly with you to a garage and ask if they'd be able to weld something up for a fee, they'll most likely hook you up, and then you can attach that to the frame, come to a stop and lower the stand ready for when you set off, pulling it up when you've reached a 'stable' speed. Tried this on a bike with a trailer that I had welded up to pull/carry 300KG, which was ridiculous, and it had an electric-assist motor for going uphill! This stabiliser technique may just work for you, though it might be a bit of a pain to get this idea to fruition. I hope you enjoy your Recumbent, ever since I made the jump to road bikes, I missed the increased raw power output, acceleration and speed that you just can't get on an upright bike, heheh. Would a two-legged kickstand help at all? In theory you could mount the bike with it on the stand, and then pedal off and the stand folds up under spring pressure. 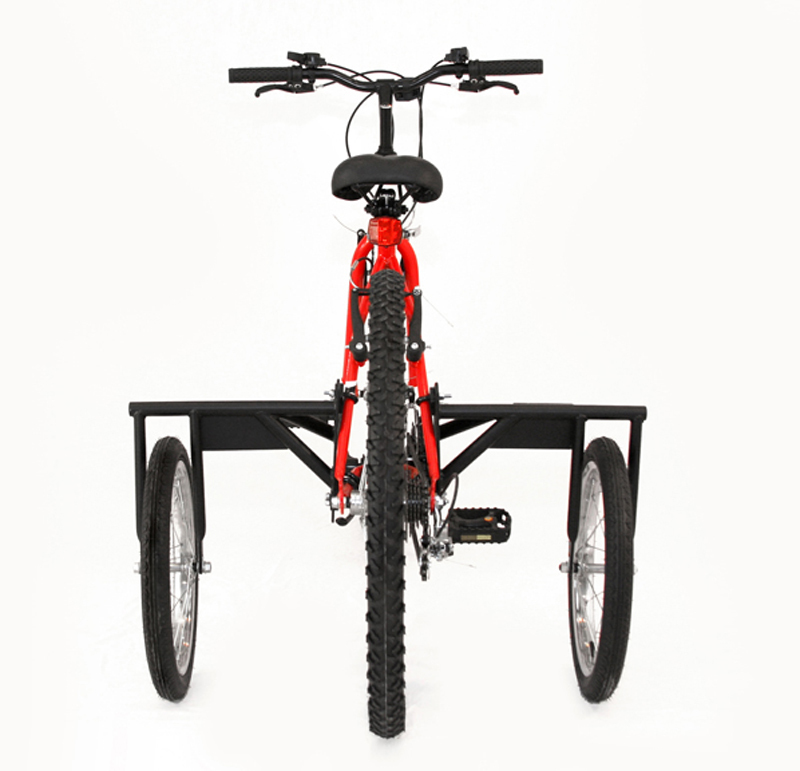 Your recumbent may not have anywhere it can fit. You could also hold a short prop/cane or walking stick in your side bag and use that as a third leg when stopped or getting going. Downside its another thing to deal with while riding and you only have the one hand which is needed for steering and braking. A tadpole or delta trike sounds like your best answer. Training wheels serve a very specific purpose on a child's bike. They are designed to keep a child upright and prevent them from tipping. 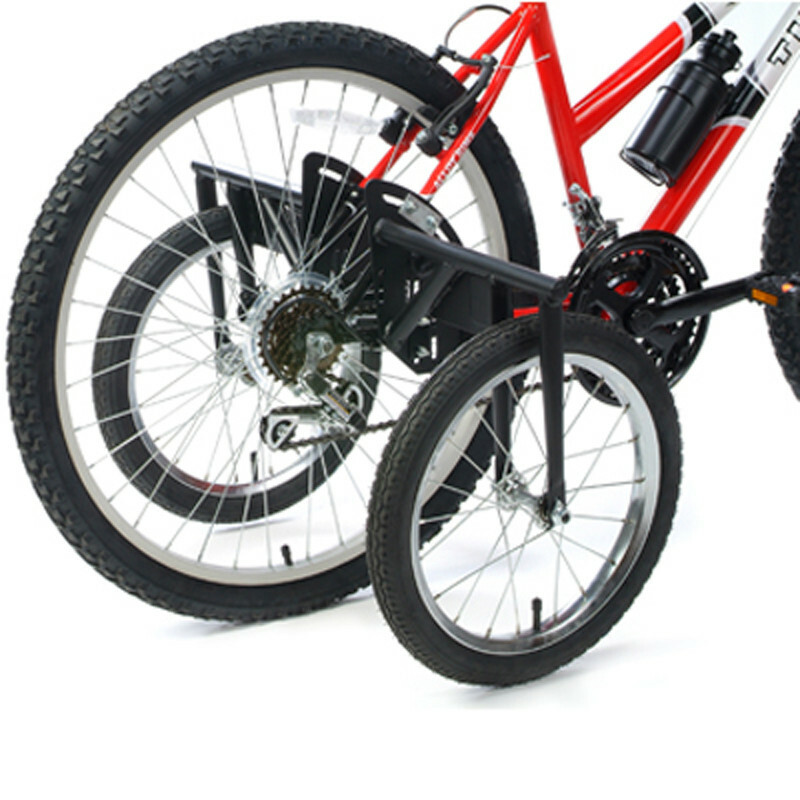 However, they are also designed to ride off the ground when the bike is upright and to be slowly raised as the child's skill level improves until they are no longer needed. If you expect to regain strength and function (this is something you and your doctor should be able to discuss), then training wheels may be appropriate as they will function in a similar manner as they do a child while you recover. If such a recovery is not possible or is a very long term goal, you would likely be better served with a trike which is more stable and designed to be ridden on multiple wheels. Not the answer you're looking for? Browse other questions tagged road-bike disability adaptive or ask your own question. Is it possible to control two brakes from a single lever?